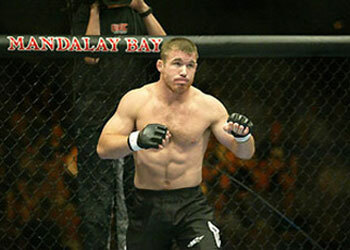 Win, lose or draw, it was rumored that former UFC welterweight champion Matt Hughes was set to retire after he settled his beef with Matt Serra at UFC 98 this past weekend. One impressive performance and a win later, Hughes appears to have changed his mind. It is a completely different story than what The Ultimate Fighter 1 finalist Stephan Bonnar stated on last week’s edition of ESPN’s MMA Live, where he claimed Hughes was done. “I’ve heard it from Matt Hughes’ mouth that this is going to be his last fight,” Bonnar said. Liar, liar, it appears as Hughes’ pants are on fire. If indeed the 35-year-old intends on continuing his illustrious MMA career, he and UFC president Dana White to iron out a new deal. He isn’t sure how many more fights he has left in him, but one thing is for sure, he isn’t going to be leaving the place he’s called home for the past 8 years.